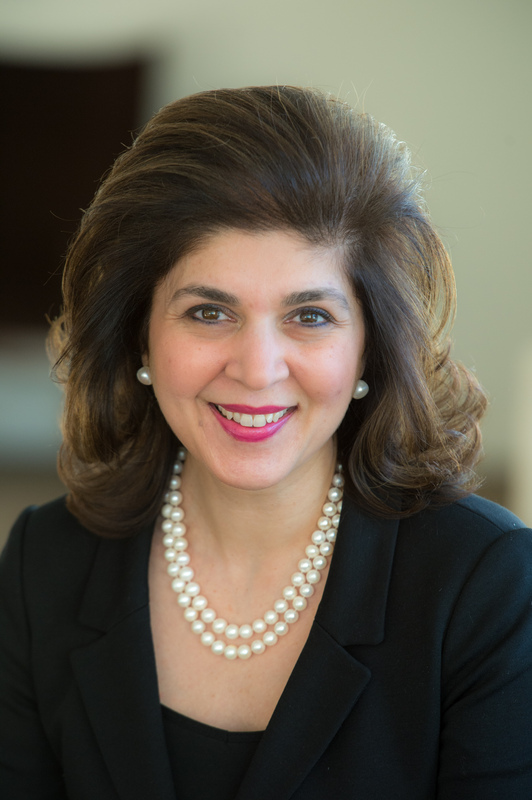 Farah Pandith is a diplomatic entrepreneur, foreign policy strategist and former diplomat. Ms. Pandith, a pioneer in the field of countering violent extremism (CVE), has been a political appointee in the George H.W. Bush, George W. Bush and Barack H. Obama administrations. She left government in early 2014 for Harvard University’s Kennedy School of Government where she maintains an affiliation. She served on the Secretary of Homeland Security’s Homeland Security Advisory Council (HSAC) from 2015 to 2017, where she also chaired the HSAC subcommittee on countering violent extremism (CVE). Her book, How We Win (HarperCollins), will be released in early 2019. She is a public speaker and global advisor, driving efforts to counter extremism through new organizations, programs, and initiatives. She was a senior advisor and commissioner on the CSIS CVE Commission Report and is a member of the FDD Commission on US-Saudi Relations. She was appointed the first-ever special representative to Muslim communities in June 2009 by Secretary of State Hillary Rodham Clinton, serving under both Secretaries Clinton and John Kerry. The Office of the Special Representative was responsible for executing a vision for engagement with Muslims around the world based on a people-to-people and organizational level. She reported directly to the secretary of state. Ms. Pandith traveled to nearly one hundred countries and launched youth-focused initiatives. She is also the main architect of the Women in Public Service Project. In January 2013, she was awarded the Secretary's Distinguished Honor Award. Prior to this appointment, Ms. Pandith was senior advisor to the assistant secretary of state for European and Eurasian Affairs. This role was created for her in the context of the Danish Cartoon Crisis, and she built new State Department strategies for how U.S. embassies in Europe understood the Muslim demographic, the increase in foreign ideologies present on the ground, and how the United States could build resilience. From December 2004 to February 2007, Ms. Pandith served as the director for Middle East Regional Initiatives for the National Security Council. Prior to joining the NSC, Ms. Pandith was chief of staff of the Bureau for Asia and the Near East for the U.S. Agency for International Development (USAID). In 2004, she spent two months in Afghanistan developing a public outreach strategy. She also served at USAID from 1990–1993 on the administrator’s staff and as the special assistant to the director of policy. From 1997 to 2003, Ms. Pandith was Vice President of International Business for ML Strategies, LLC in Boston, Massachusetts, and served as a Commissioner on Governor Paul A. Cellucci’s bi- partisan Asian Advisory Commission. She has been a consultant in the public, private, and non-profit sectors and has served in leadership positions on several boards with a focus on international affairs, women’s empowerment, education and cultural diplomacy including the Tribeca Film Institute, We Are Family Foundation, Women in Public Service Project and America Abroad Media. Ms. Pandith received a Master’s degree from The Fletcher School of Law and Diplomacy at Tufts University, where she specialized in International Security Studies, Islamic Civilizations and Southwest Asia, and International Negotiation and Conflict Resolution. She received an A.B. in Government and Psychology from Smith College, where she was president of the student body. She is currently a member of the Board of Advisors of The Fletcher School of Law and Diplomacy. She was awarded the Smith College Medal in 2014 and the Distinguished Achievement Award by Tufts University in 2013. She holds an honorary doctorate from Mount Saint Mary’s University, and is a member of the European Academy of Sciences and Arts. She was born in Srinagar, Kashmir, India, and raised in the Commonwealth of Massachusetts. The Islamic State’s attack on Paris demonstrate that both Europe and the United States need to commit to winning the ideological war against extremism with renewed vigor, says CFR’s Farah Pandith. The Rise of Radicalization: Is the U.S. Government Failing to Counter International and Domestic Terrorism?